Dr Gary Kroukamp is an ENT Specialist, practising from rooms at Kingsbury Hospital in Claremont, Cape Town. He also has a teaching sessional appointment as an ENT Consultant at the Tygerberg Hospital, a tertiary teaching hospital associated with the University of Stellenbosch. His duties here are in teaching specialists in training and medical students. He is currently engaged in a part time fellowship with the Tygerberg Cochlear Implant Programme. “It is my professional duty to provide patient centred, evidence based health care of the highest quality, and to adopt a collaborative approach to planning the management and care of my patients with the outcome of an improved quality of life”. 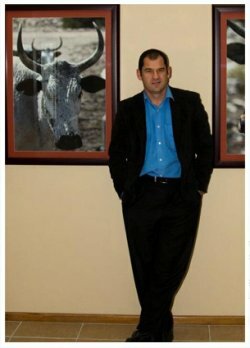 It is Dr Kroukamp's mission to provide state of the art ear nose and throat consultative health care based on the most current evidence and research while also taking into account the opinions of his patients and to consider their unique circumstances. Dr Kroukamp is a dedicated family man and fully understands the concerns patients have when undergoing any form of medical treatment for either themselves or a family member and has a very insightful approach when dealing with young children . Dr Kroukamp adopts a conservative approach to surgery and believes in sharing the management of conditions with his patients when deciding on the extent of surgery required. He appreciates that the relationship between doctor and client is a privileged one and respects that patients have a choice in their care provider . Gary also works closely with other medical specialists in theatre, including Ophthalmologists and Neurosurgeons. He performs advanced endoscopic surgery procedures for re-routing tear ducts and for removing pituitary tumours with these fellow specialists. He has attended courses in Advanced Endoscopic Sinus Surgery in Cambridge and Winchester in the UK, as well as Ear and Temporal Bone Surgery and Cochlear implant courses at Stellenbosch University, the University of Pretoria and at Mechelen in Belgium. He is a member of the ENT Society of South Africa and the South African Cochlear Implantation Group. He is convenor of the Southern Suburbs ENT Journal Club.